What cute cards! 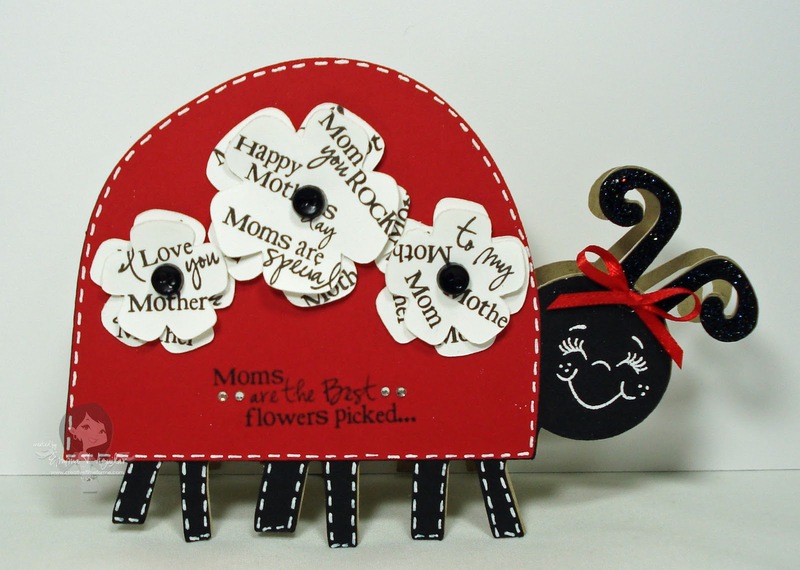 I love how you used the stamps on the flowers and that little bug is just adorable! adorable cards! This is my favorite cartridge. so many cute images on it. Everyone's projects are adorable!!! Emma, I love how you stamped on your flowers. I almost bought a new PTI stamp set the other night that had varied sentiments on flowers, and then I thought I could just make my own! 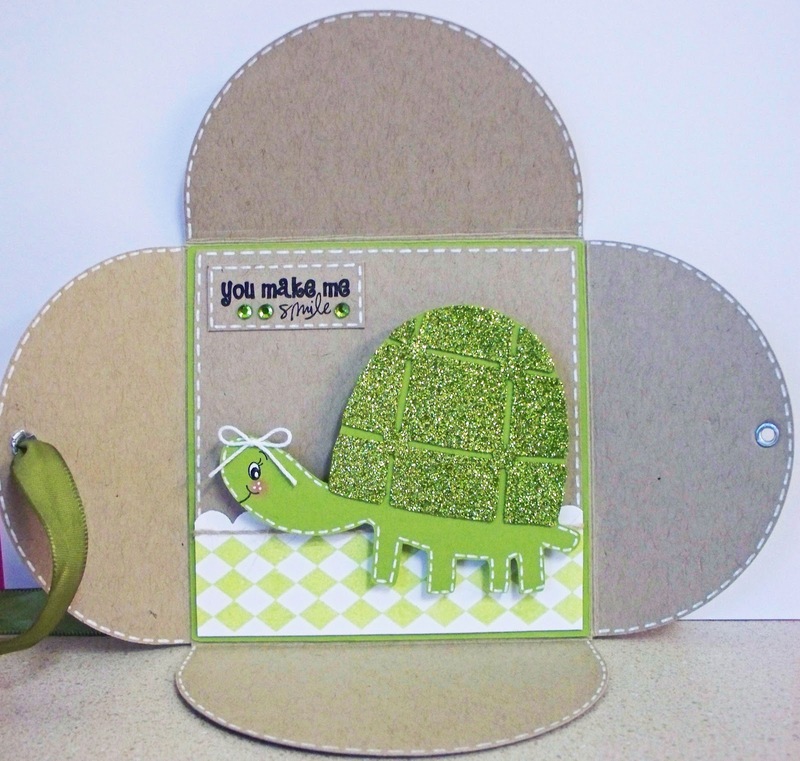 Thanks for the challenge Emma,Love your card,sooooo cute! That is such an adorable card Emma! So super creative! :) I will try and play along with this week's challenge! Thanks again for the sweet comments! What a great challenge. Really gets me in the spring mood. Hi Emma, You always have such fun challenges! I love all the DT projects. They are wonderful. On another note, I want to thank you for all the fun posts from DHA. You looked like you were having so much fun!!! Such adorable projects. Thanks for sharing! Love the stamps! You and the DT's projects are super cute! I'm glad I got to play along - its been way too long!! Cute! !..I'm gonna try an enter this challenge even though I don't have the Walk in my garden cart..I do have several carts that have flowers. Great projects! Thanks for the fun challenge! Oh I love your bug card. I think you called it a turtle. That was funny. I hope you are feeling better Emma. You sound like it but maybe not 100% yet. Great the card and challenge. I love your stamps. We got hit hard with a BIG tax bill so I am on a craft supply diet or budget or what every but as soon as I can your stamps are on the top of my list. Thank you for allowing us to use a different cartridge for the challenge. I am fairly new to crafting and don't have a huge collection of carts. This was a fun challenge - I love flowers!!! How fun! Congrats to Amber on winning - YAY!! How are you feeling?! Hopefully lots better! I love your cute card!!! :) I have that cartridge...now if I could just get my craft room done (I think I'm ordering cabinets on Saturday, so maybe I can join your challenge in another 4 or 5 weeks!). Great Challenge I love Walk in my Garden. Thanks so much! Great cards! I love all the flowers. Thnanks for the great challenge. If you can delete #17 Mel, please do. I did not think it was fair to link again. Sorry. PS loved you lady bug. I love your card and your DT is fabulous! Thanks for sharing. Love all the cards. This is one of my favorite cartridge, one of the first cartridges I bought. I love doing your challenges. Thanks for all that you do. Great challenge. Haven't used this cartridge in awhile. I absolutely love your blog and stamps! P.S. I nominated your blog for an award. I loooove all the DT's projects, you are all so talented. I entered one in this week. I love the Walk in My Garden cart! Emma- I just love the idea of the stamping on the flowers!! Give's a different look-love it! Your card turned out amazing as always!! 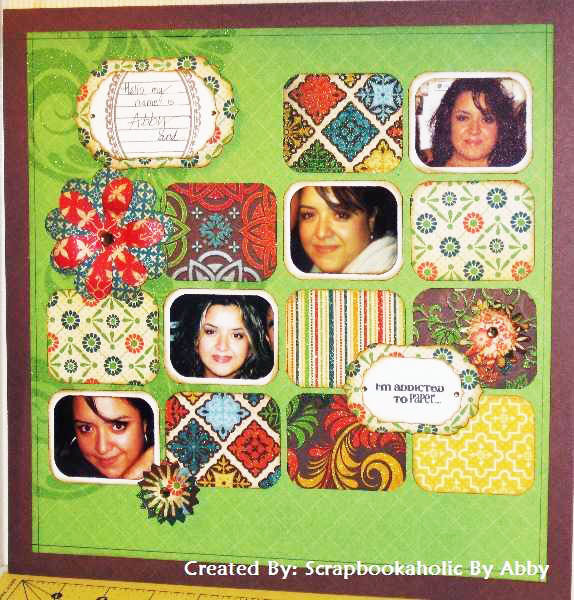 This is a great card, has some fabulous cuts on it!! Everyone did and awesome job! Love everyone's designs Thanks for doing this for us. Hi Miss Emma! You do the CUTEST stuff! I am so happy you share your creative talents with us all! Thank you! Love your projects! This is my second time participating...love the creative push...thx! This is my first time entering your challenge, and finding your site which I LOVE! Thanks for the opportunity! Hi Emma! Love your blog, had fun making this challenge. Thanks for another chance to win. This is sooo cute....I just became a follower, hope you do the same...looking forward to more kreative ideas from you. I love the flowers!! Great idea! She is so super cute! I love what you did with the flowers :0). I will try to make something for this challenge! Have a blessed day! Fun Challenge! I love this cart. Great JOb DT. DT did a great job with this cart, it's good to know other selections from this cart turned out great!!! Great challenge - I so often forget to use my older cartridges, and there is so much great stuff on them! Love your card, and all the cards your design team made!!! Thank you for another awesome challenge. Such cute cards!!! Love them all! I just left my project with Mr Linky. Love your challenges, they're so fun!! Thanks! I had a great time with this challenge... Walk in my Garden has always been one of my favs!! Fun challenge, Emma! I love playing along! Very cute!!! Thanks for all you do! What a fun challenge and the design teams projects are sooo cute!!! Thanks for the challenge, it was very fun!!! I love the projects you and your design team came up with! Absolutely cute! 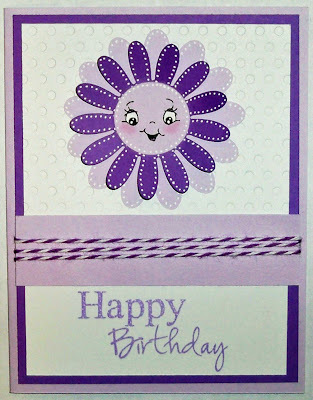 I love using flowers on my cards! I also used your stamp set Mom You Rock! I loved dusting off this cart! I love the designs your dt came up with too! Awesome projects everyone!! I love flowers so this was a fun challenge for me!! Thanks Emma!! Wow, your dt did a great job again!! Love it. This was fun. I had to order this cart just cause I didn't have it. haha Thanks Emma! Great challenge! I don't have this cart, so glad that you make it so that everyone can participate. Your the best! Amazing projects!! Fun challenge. I love pulling the older carts out and using them. Thanks as always for challenging us!! !I LOVE LOVE your stamps---they are wonderful. Awesome challenge! Thanks for allowing us to use any old cartridge. I don't have a big collection, but I can still play along with the flowers. I love your card!